The Fort Dodge Community Foundation meets the National Standards established by the Council on Foundations for U.S. Community Foundations, which are philanthropy’s most rigorous standards. 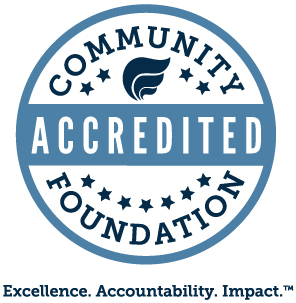 Community foundations that meet these standards have demonstrated that they abide by the highest legal, ethical and effective operating practices, financial oversight, transparency and accountability. The National Standards Seal indicates that a community foundation is confirmed in compliance with National Standards. National Standards provide the structure for community foundations to ensure that the integrity of community foundations is preserved for the long-term and that community foundations operate for the benefit of the public good and use proper procedures for oversight and management of all activities, policies, investments and philanthropic activities of the organization. National Standards provide rules for the stewardship of the charitable funds, so they are invested and prudently managed, accurate records are maintained, accountability is documented and the funds are audited on an annual basis by an independent public accountant. Community Foundations that are confirmed in compliance with National Standards must go through an extensive review and assessment every five years to be reconfirmed as a qualified community foundation.